All it takes is faith and trust and a Little Pixie Dust! 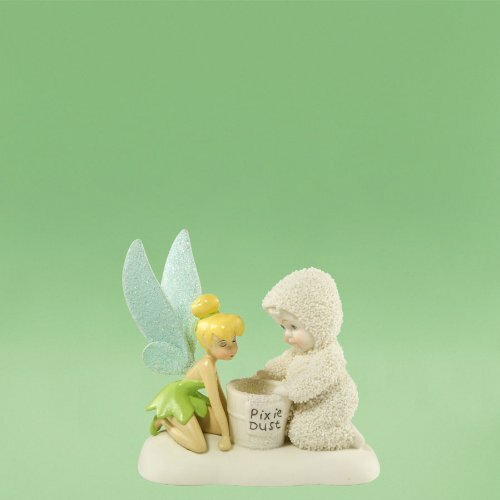 Tink shares her magic Pixie Dust with her friend Snowbaby to make all your dreams come true! Tink Features glittered wings. Made out of porcelain bisque, each Snowbaby is hand painted by skilled artisans and features frosty bisque crystals.